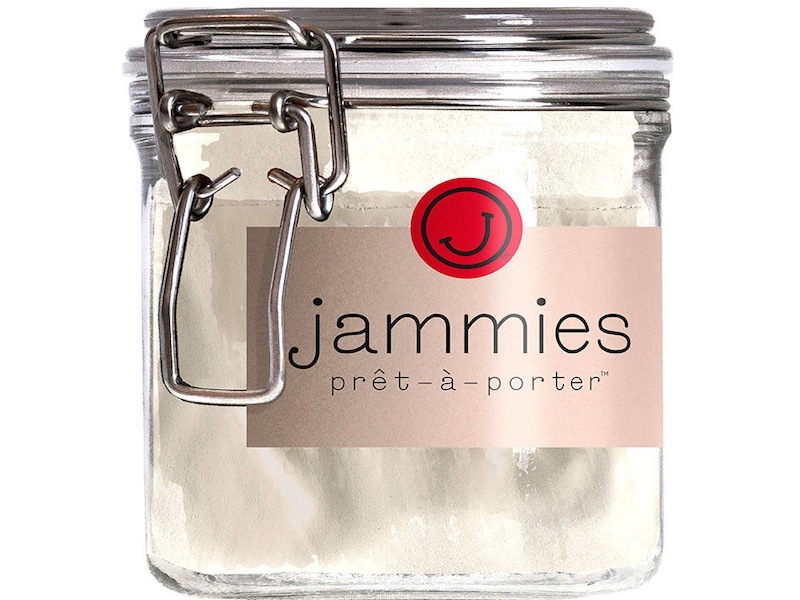 Jammies Prêt à Porter Packages Luxury Baby Clothing in a Reusable Jam Jar! Being a sleep-deprived new parent makes you do so many crazy things; so we wouldn’t be surprised if in those first-days haze, we had folded our baby’s clothes and stuck them in a jam jar. It turns out, however, Jammies Prêt à Porter actually has a long, thoughtful history. The father of Jammies Prêt à Porter founders (and sibling team) used to package baby pajamas as gifts to friends and families in a convenient jar (go Dad for early recycling efforts!). Jammies has several options for bundling baby, but since the clothes will be so close to baby’s skin, we prefer the bamboo/organic cotton combos, such as the thermal set, which includes a snug tank and comfy pants in a soothing, neutral coconut color. There’s also a creamy colored romper that includes a cozy vest made from 70% bamboo. The romper itself is 95% organic cotton and is finished with a sweet Peter Pan collar. Made in the U.S.A and available for newborns through nine months. Each jar is made from recycled, BPA-free plastic. 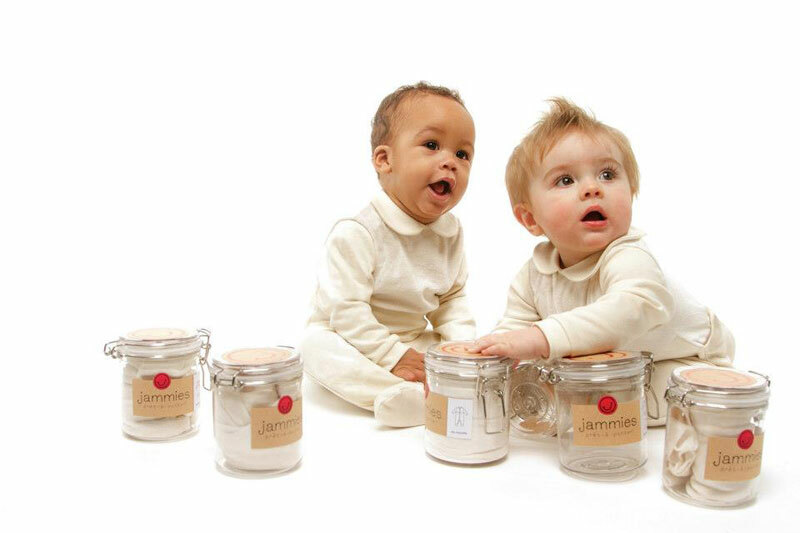 Jammies Pr�t � Porter Packages Luxury Baby Clothing in a Reusable Jam Jar! Being a sleep-deprived new parent makes you do so many crazy things; so we wouldn�t be surprised if in those first-days haze, we had folded our baby�s clothes and stuck them in a jam jar. It turns out, however, Jammies Pr�t�� Porter actually has a long, thoughtful history. The father of Jammies Pr�t � Porter founders (and sibling team) used to package baby pajamas as gifts to friends and families in a convenient jar (go Dad for early recycling efforts!). Jammies has several options�for bundling baby, but since the clothes will be so close to baby�s skin, we prefer the bamboo/organic cotton combos, such as the thermal set, which includes a snug tank and comfy pants in a soothing, neutral coconut color. There�s also a creamy colored romper that includes a cozy vest made from 70% bamboo. The romper itself is 95% organic cotton and is finished with a sweet Peter Pan collar. Made in the U.S.A and available for newborns through nine months. Each jar is made from recycled, BPA-free plastic.